Movie Theater Butter is a new addon from the Diamond Wizard Repo which may be the best current working Exodus Alternative. A major improvement over Exodus and Incursion is that Movie Theater Butter features a new one-click-to-play capability. Being a direct fork of the Incursion alternative to Exodus with updated code and new features makes this addon an excellent option for streaming entertainment. A long line of feature improvements come from Genesis, Exodus, Covenant, Incursion, and many more to make this a top Kodi addon for any home entertainment center or even cell phone Kodi installation. You may simply need the repo address if you are well versed in the process of installing addons. If that is the case, you’ll find the Diamond Wizard repo at http://repo.rubyjewelwizard.com/. If you need a little more guidance, never fear, we’re here to help! Follow the step-by-step illustrated guide below to install this beautiful one-click addon for streaming unlimited TV shows and movies. Open Kodi System >> File manager >> Add source >> <None>. Type http://repo.rubyjewelwizard.com/, name it Diamond Wizard, then click OK.
Navigate Kodi main menu Add-ons >> Add-ons browser >> Install from zip file. Choose Diamond Wizard then click repository.Diamond-Wizard-Repo-X.X.X.zip to install the repo. Back in Add-ons browser, click Install from repository >> Diamond Wizard Repository. Click Video add-ons >> Movie Theater Butter >> Install. We’ll show you how to install this great all-in-one Kodi TV addon below. This illustrated step-by-step guide to installing Movie Theater Butter is broken up into multiple parts to simplify the process. Follow each step to easily provide the addon repo, install the repo, and then download this addon to your Kodi device! All images shown in this guide were taken from Estuary, Kodi’s default skin since the release of Kodi 17 Krypton. You may want to re-enable the default skin if you installed a build with a new skin. Since releasing Kodi 17 Krypton, the XBMC Foundation has required a setting adjustment in order to use a third-party addon. Reference our Enable Unknown Sources guide to make Kodi ready to accept unofficial third-party addons. Without enabling unknown sources setting switched over, Kodi will not allow Diamond Wizard repo source and installation will not work. Therefore, it is essential you make the adjustment. It’s easy, follow below and we’ll help you access as many of the best Kodi repos and great working addons the Kodi community offers! You must install the Diamond Wizard Repository before you can jump into troves of quality content offered by the Movie Theater Butter addon. This repo is the home of Movie Theater Butter. The first step to installing Movie Theatre Butter is to provide Kodi the home (source) of the addon. Follow the simple steps below to complete this first stage of the installation process. Open Kodi’s main menu, select the System icon. It looks like a gear cog above the menu. Then, near the bottom of the screen select File manager. Select Add source in the left side list. Click <None> to add a custom web address. Enter the following URL carefully: http://repo.rubyjewelwizard.com/, then click OK.
Then, enter the name Diamond Wizard into the text area below this source address, then select OK again. Check for typos and any errors, then click OK to complete installation of the source location. So, now that Kodi can find the repo's location source, you must install the Diamond Wizard Repo before using the Movie Theater Butter Kodi TV addon. To complete the process follow the steps below. Circle back to the Kodi Home Screen and then select the Add-ons item on the left menu. Select the Add-ons browser / Package Manager , which looks like an open box icon located in the top left. Select the source we installed earlier, Diamond Wizard. Next, select repository.Diamond-Wizard-Repo-X.X.X.zip file (repository.Diamond-Wizard-Repo-3.3.8.zip at the time of this post). In the top right corner of the screen, you will see a message informing you the Diamond Wizard Repository was successfully installed. Finally, it is time to install the addon you’ve been wanting! Follow the simple steps below to install the Movie Theater Butter Kodi TV addon to start enjoying all the content you love! While in the menu of the Add-ons browser, select Install from repository. In the Diamond Wizard Repository directory, click on Video add-ons. Next, select Movie Theater Butter for install. Movie Theater Butter Add-on installed popup message should appear soon in the upper right of the screen. Congratulations! Now connect with IPVanish VPN to safely and freely access unlimited online TV streaming, online movie streaming, and online music streaming! The Movie Theater Butter add-on is a fork of the Incursion Exodus replacement addon, though the dev has added a ton of improvements. There has been a CFSCRAPE fix along with many other scraper fixes. Moderator has been disabled and the Trakt on Deck feature has been fixed so it doesn’t just disappear anymore. Search issues caused by character accents are also now a thing of the past. This means films by the director André Øvredal can be searched for now, which includes the fantastic “Troll Hunter” movie. It’s not just another “Blair Witch Project” knock-off; honest! While the Incursion Kodi addon still works great, you will want to try this new and improved Exodus alternative version for many reasons. One of these reasons is that Incursion doesn’t seem to be receiving updates anymore. Unless the developer changes their mind or someone else takes it over, the Incursion addon now seems to be slated for a slow death. As mentioned, auto-play (one-click-to-play) is enabled in the Movie Theater Butter addon. This means you’ll no longer deal with figuring out lists of servers or click and re-click multiple sources to find a working stream. Movie Theater Butter automatically selects the best stream source for your system and internet capabilities then begins to play it without hesitation. That’s a pretty freaking awesome feature! It’s like… extra butter! Follow this guide and we will help you get set up with Movie Theater Butter on your Kodi Fire devices. We at My True Media believe the new auto-play feature is to die for. The Movie Theater Butter developer understands this may not be for everyone, though. You can go into the Movie Theater Butter addon settings and change this from auto-play to directory. This will revert to the previously offered lists of available stream sources common to most Exodus alternatives. Typical of most all-in-one Kodi addons, this gives more personal control for optimizing your system. There is also an option in the same settings area to select the quality Movie Theater Butter will provide in its auto-play feature. 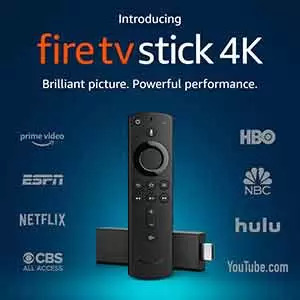 This is really useful when your Kodi device or internet connection are a bit slow. It can also help when you just know your system can handle a higher definition than the streams being presented. To safely play high definition videos without all the buffering, you really want a high-speed VPN like IPVanish VPN. Thanks for reading MTM’s article about how to install Movie Theater Butter Kodi TV addon! As always, we are grateful for any comments, questions, or concerns you may have after reading this or any other article on the MTM site. We will respond as soon as possible, although this may take a day or two depending on circumstances. Feel free to sign up for our MTM newsletter or follow us on Twitter , Facebook , and Youtube if you want to stay up to date on the best third-party Kodi addons and high quality repos. Thanks! This was a great find for our Kodi movie night; simple to follow installation! I’ll come back and check out some more of these ‘best Kodi addons’ later.